PDQ Specialist Couriers provides a special logistic service and courier solution to the healthcare industries. PDQ Specialist Couriers provides a special logistic service and courier solution to the Hazardous industries. 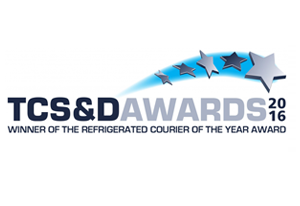 PDQ Specialist Couriers provides a special logistic service and courier solution to the Food industries. In the nature of our work as specialist couriers, particularly in our operations as medical couriers, we recognise the importance of ensuring clear traceability throughout our delivery process. Each and every one of our clients has the option to track the minute-by-minute location and exact temperature of their consignments throughout transit, using our unique client portal. We recognise the sensitivity of each of our transports and the key value the items will have to our clients, which is why as the leading specialist couriers in the UK, we always go the extra step in providing you real peace of mind through our reliability and rapid delivery options. In addition to the comprehensive UKAS ISO 9001:2008 Quality Management System we employ, every single one of our drivers will have been expertly trained and hold full ADR and GDP certification. Furthermore, all of our procedures are closely monitored, while our vehicles are regularly maintained and adhere fully to the MHRA guidelines. It’s also worth noting that we maintain contingency capacity across our fleet of vehicles, so that we can offer delivery options at even the shortest notice. Also, unique to our company is the fact that our complete certification allows our team of drivers to carry all manner and spectrums of hazardous pathology samples, pharmaceutical products, clinical trials, radioactive materials and nuclear medicine. It’s this kind of quality and range of services that sets us apart as specialist couriers, with our medical courier options outperforming medical courier companies across the nation. Not only can you rely on the quality of our drivers, and be able to track your goods throughout their transport, but you can rest assured that each of our vehicles comes equipped with a variety of safety features that ensure the protection of your transport even in emergency situations. We can also transport multiple items at different specific temperatures in the same transit, further highlighting our position as the leading temperature-controlled specialist couriers in the UK. Take a look around our website to explore the various different areas we specialise in courier options for. In addition to being renowned medical couriers, we offer that same level of stellar service to a variety of our industries. Should you not see your required field listed, or have additional questions about any of our services, please contact our customer service team, either by phoning us, emailing us, or speaking to us live via the helpful web chat facility on our website. 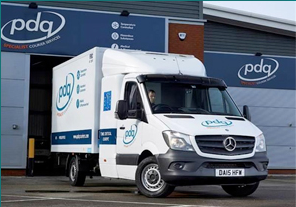 We’d love to talk to you in more specific terms about how PDQ Specialist Couriers could be the answer to your medical courier and temperature-controlled courier needs across the UK and Europe. We’ll endeavour to meet any of the transit needs you bring to us, making sure that reliability, punctuality and quality of service are the hallmarks of every transport we complete.